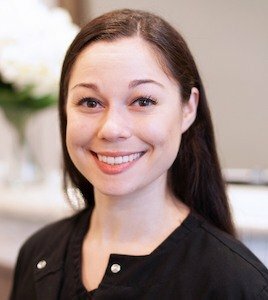 With nearly a decade of experience in dentistry, Christina has been a member of the Chester County Dental Arts team since before the doors officially opened. She started her dental career as an assistant, quickly fell in love with the field and dreamed of being able to build a Practice from the ground up one day. 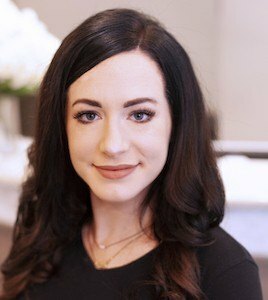 Christina is your point person in the Practice and can answer any questions you may have; ranging from clinical questions, understanding your insurance, scheduling and everything in between. Christina’s favorite aspect of her job is being able to develop relationships with her patients and educating them on the treatment options they have. She takes pride in the culture of Chester County Dental Arts and the five star patient experience patients have come to expect. Christina lives in Center City, Philadelphia. She is an avid Eagles fan, lover of the Arts, live music and is working on her Private Pilot License in her free time. 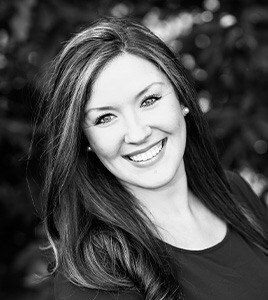 Jenna, Registered Dental Hygienist - Jenna loves working with patients to achieve their optimal level of oral health. When Jenna partners with patients to improve their oral health, she utilizes the latest state-of-the-art digital x-rays and intraoral photography to help the patients take an up close look at their smiles. 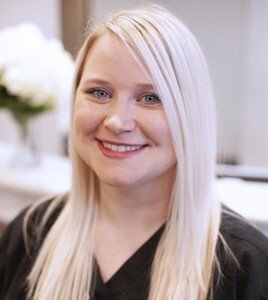 She can offer thorough, professional teeth cleanings in the office, but even more importantly, Jenna partners with her patients to care for their smiles at-home all year round. Educating patients is her passion, and she loves to help them understand how to maximize their oral health and hygiene. Jenna truly cares about assisting her patients in leading healthier, happier lives. Fun loving and kind, Jenna was born and raised in Chester County. Her first job had a very strict uniform – she was the famous Chuck E. Cheese mouse! Outside of work, Jenna enjoys rooting for the Eagles, playing with her two dogs, crafting, reading, and binging the latest TV show. Bio and Image are coming soon! 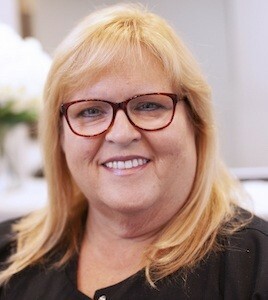 Judi joined CCDA in August of 2018. She has been practicing dental hygiene for nearly 36 years in Philadelphia and Delaware County. Her main focus is providing excellent care for her patients, as well as educating them in ways to achieve and maintain great oral health. She especially enjoys helping her patients conquer any dental fear or anxiety they may have. Judi and her husband Andrew love the outdoors and are avid campers. They love to travel and are planning to take their camper on a cross country trip. Judi also enjoys crafting, painting, writing and game nights. If you want to see her smile, just ask her about her grandchildren! Judi is thrilled to be part of the CCDA team! Andrea joined the Chester County Dental Arts team in May 2017. She is a graduate of Harcum College and a licensed EFDA (Expanded Functions Dental Assistant). 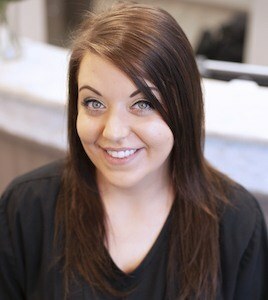 Andrea is also the Head Assistant to our Orthodontic Department. Her flexibility can be seen both in General Dentistry as well as Orthodontic care. Andrea is also a part-time professional ballet dancer for the Brandywine Ballet Theatre and enjoys spending time with family and friends outside of the office. Melinda graduated from LCCTC in 2010 with her Dental Assisting Certificate. Most recently, she graduated from YTI, from the Expanded Functions Dental Assistant program. She choose the dental field because like many others she has dental anxiety and understands, first hand, what it takes for a person to walk through that door. Her passion is to walk with the patient through every step of their procedure and comforting them with patience, education and of course a warm smile. She makes patients feel welcome and ensures to them she will be there every step of the way. Nothing is more rewarding to her than having a patient smile as they leave the office, knowing they conquered all their objectives because of her and the team! Melinda has been practicing in dentistry for 8 years. She loves what she does and strives to make her patients happy by giving them the beautiful smile they deserve. Melinda is kind, caring and will be your biggest cheerleader! Outside of the office she enjoys to spend time with beautiful daughter. Marra is a 2009 Graduate from Twin Valley High School. Upon graduating she attended Contemporary Health Career Institute in Exton. It was during this time she earned her certification as a Dental Assistant. Her first two years in the Dental field, she worked chairside on a Oral Surgery practice. 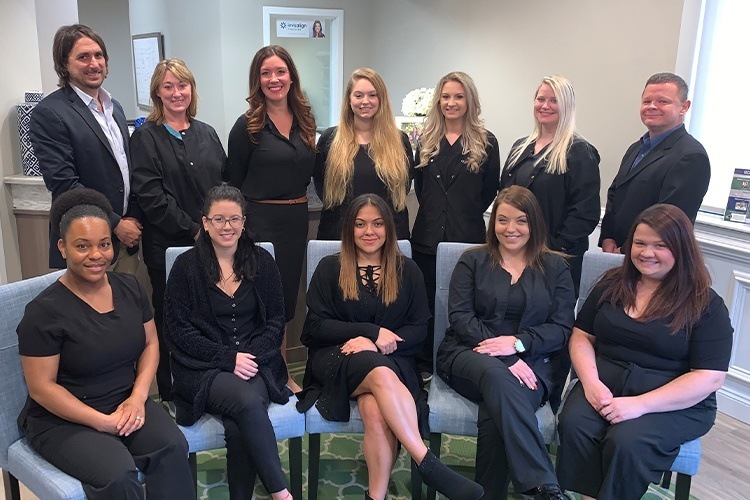 Her experience, determination and bubbly personality have made her an influential addition to Chester County Dental Arts. She resides in Honey Brook with her two children Kiley and Logan. In Marra's free time she enjoys being outside with her kids hiking and playing and spending every second with her children. Marra's favorite thing about her job is being able to form a relationship with the patients and seeing patient's leave with a smile.